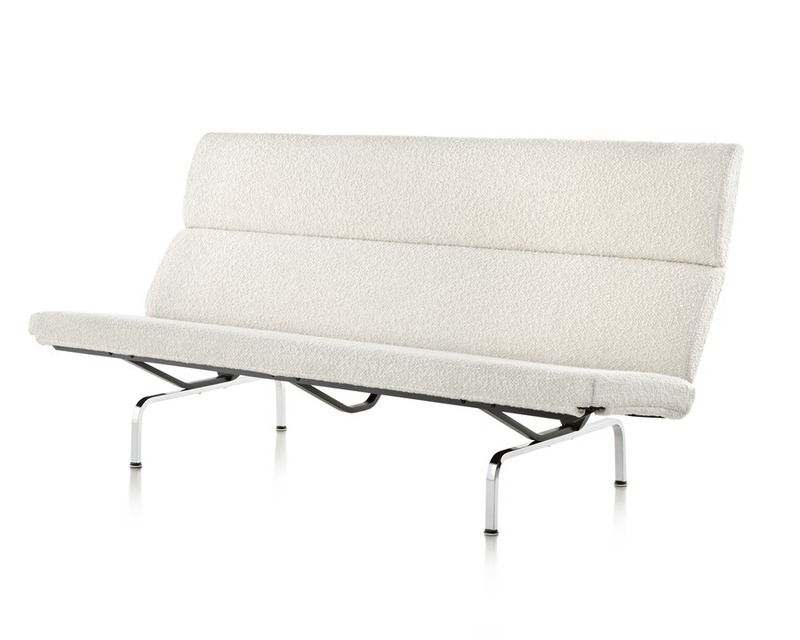 This minimalist, diminutive design by Charles and Ray Eames is perfect for a lean space. 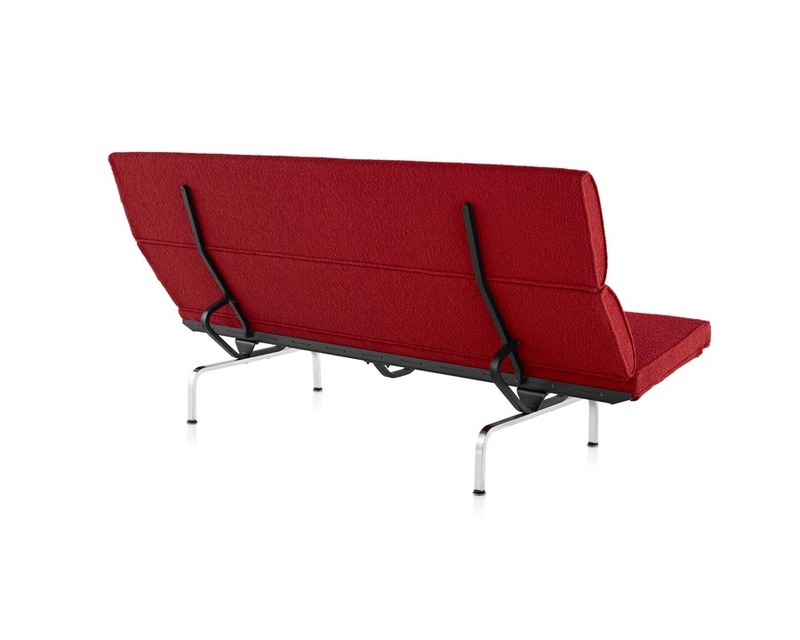 In production for more than five decades, the sofa has concealed reinforced webbing for support, an enamel steel frame, and tubular steel legs. 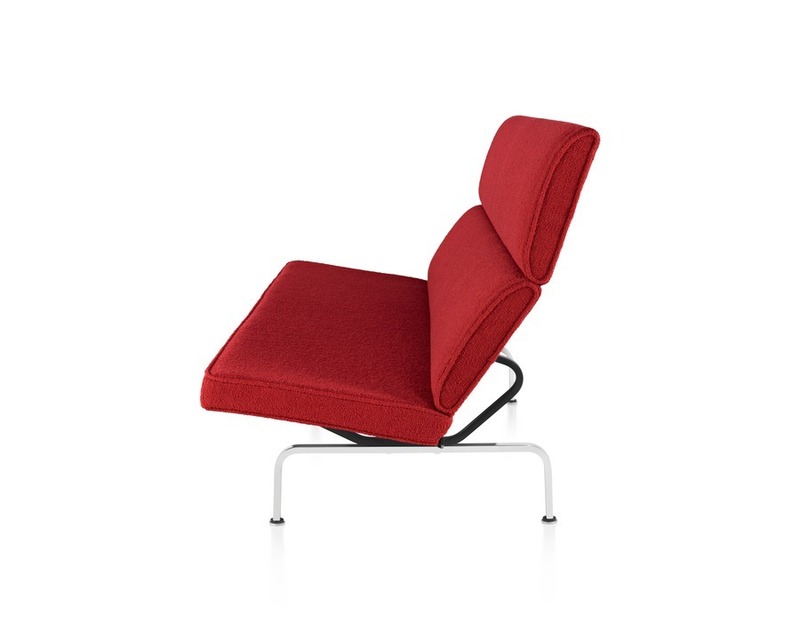 It offers a wide selection of materials, including textiles by Alexander Girard, whose bold colors and textures were first introduced for Herman Miller in 1952.